I’ve been a fan of drones for a while now. I enjoy messing about with them and I even have my own micro drone with a camera. Now, while I saw the I enjoy playing with drones I’ve always kept a keen eye not to get video of my neighbours backyards and so forth. I have no interest in that but, mistakes happen. So, I keep the drone below 20 ft and since my ability to keep the drone steady is suspect at the best of times. Safe to say that the video that I record with the drone is “Blair Witch Project” caliber. Not too long ago the neighbours mentioned that there was a drone that was spotted in the neighbourhood. In this case it was clearly trying to peer into windows. I was out of town for this one but, I asked why they didn’t shoot it down. “Isn’t that illegal?” I paused, “I mean get a Nerf gun, sling shot or something like that to smack it down. Mental notes were taken and the drone has oddly never returned. I’m guessing that someone learned their lesson. Sadly, some lessons never get through to the audience. 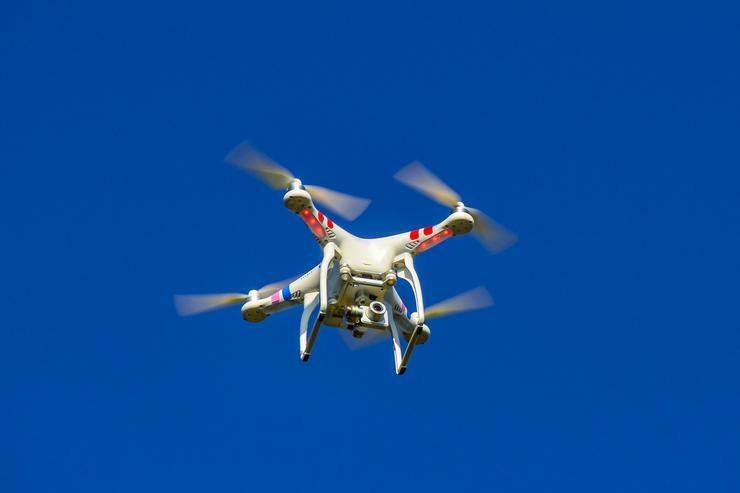 Case in point an apparent drone that collided with a British Airways flight this weekend. This is a moment where I’m feel my blood starting to boil. Some raging halfwit could cause untold numbers of problems for hobbyists because some moron thought it was OK to fly theirs in the glide path of a British Airways flight on approach to London. Entirely possible that people could be put in harms way as a result of actions like these. Now, it was bad enough when people used to flash green lasers in an attempt to blind pilots as they tried to land. It was so long ago…oh, it was a week ago. Never mind. What are people thinking? I think that nails it square on the head. They aren’t thinking at all. As we read about intellectual challenged mouth breathers trying to interfere with flights using lasers, and now drones, I can’t help but to cringe for the future. It was bad enough that we worry about privacy encroachment but, now we have to wonder if some jackass is going to take down a flight? Everyday I get more entrenched in the idea that Mike Judge's movie, Idiocracy, is a documentary. That is terrifying. I like playing with my micro drone with the kids. I hate to think that we are not long from a catastrophe that will prevent us from being able to use one without having some sort of permit. If you operate a drone please use some common sense. I realize that common sense is no longer all that common or in short supply but, a guy can dream. Use your intellect. It might be rusty but, it is in there if you look for it, curled up in the corner asking, "why?"